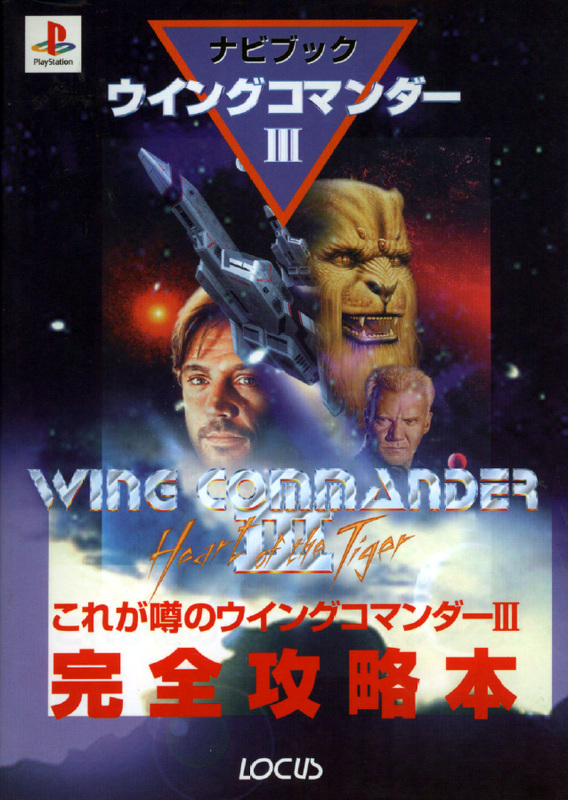 The Japanese Official Guide to Wing Commander 3 for Sony Playstation. It's a fabulous 128-page book full of color photographs and diagrams that cover everything from background information to ship stats to mission details. This book is unique, as it is the only recorded original foreign official guide - it's a full color guide to the Playstation version of Wing Commander III (Japanese). See here for contents and download.